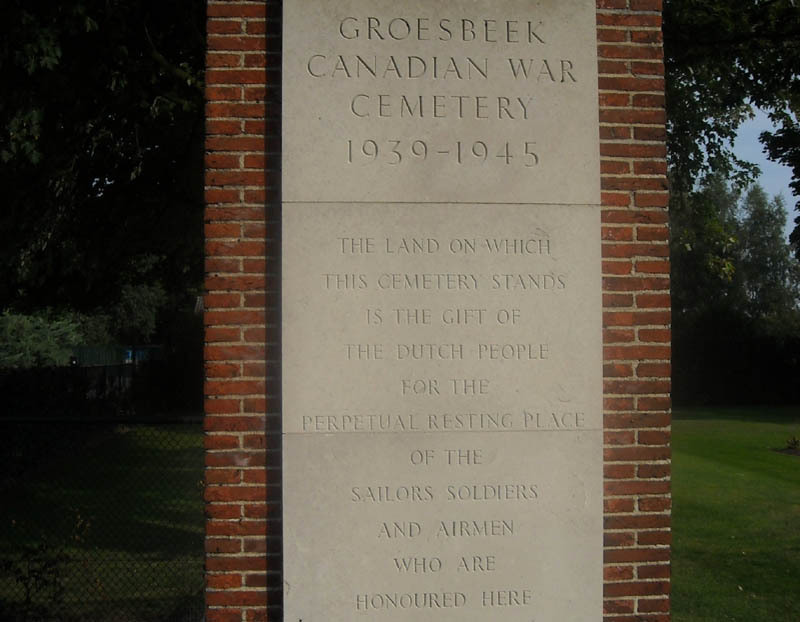 The Groesbeek Canadian War Cemetery holds the graves of 2,610 Commonwealth burials of the Second World War, and nine war graves of other nationalities. The cemetery mainly holds Canadian soldiers that were killed during the battle of Nijmegen and Arnhem in September 1944 - a part of Operation "Market Garden" - and the battles that took place during the winter of 1944 and 1945. 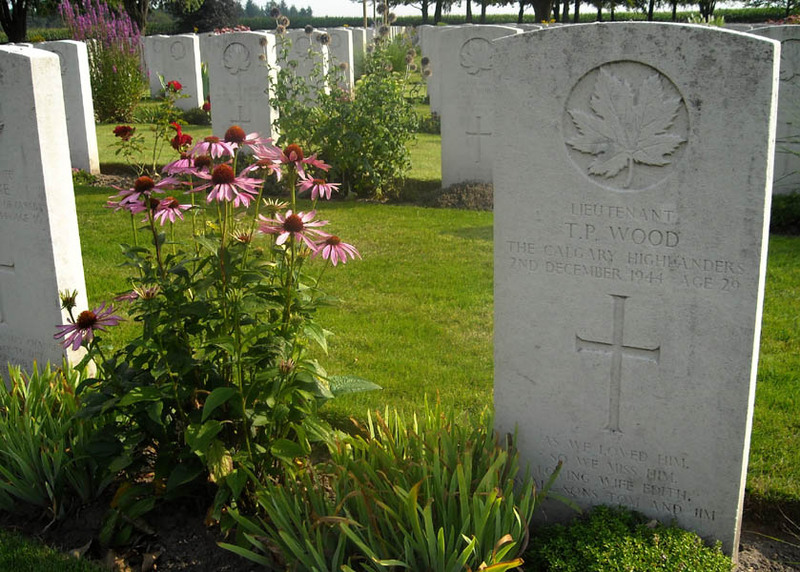 The grave of Lieutenant T.P. 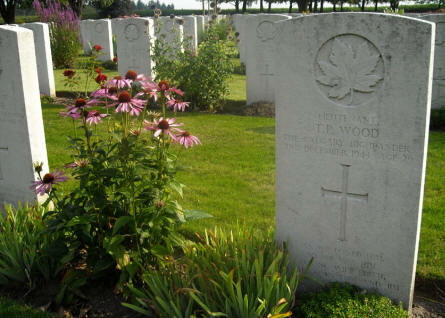 Wood at the Groesbeek Canadian War Cemetery. 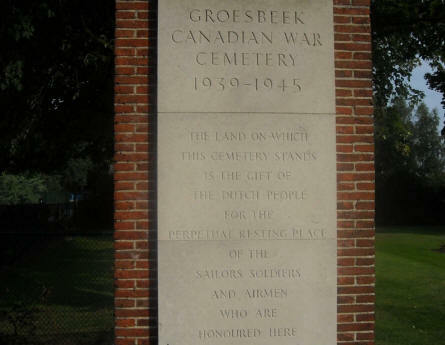 A sign at the entrance to the Groesbeek Canadian War Cemetery. 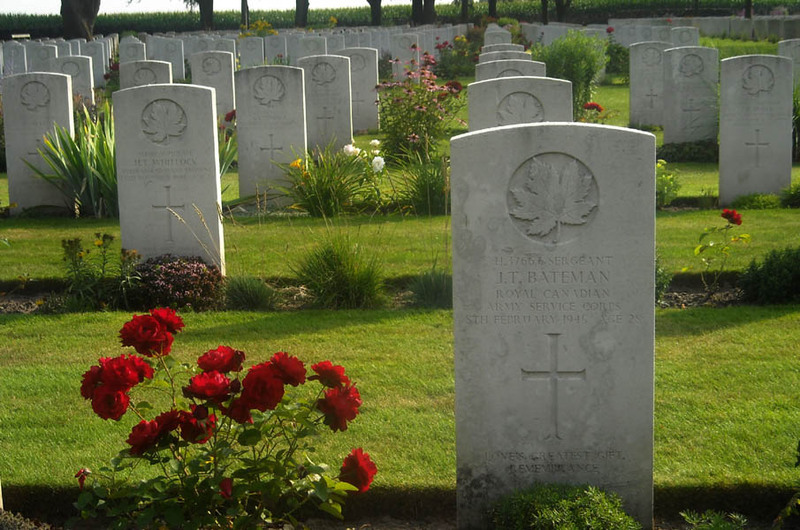 Some of the many World War II war graves at the Groesbeek Canadian War Cemetery. 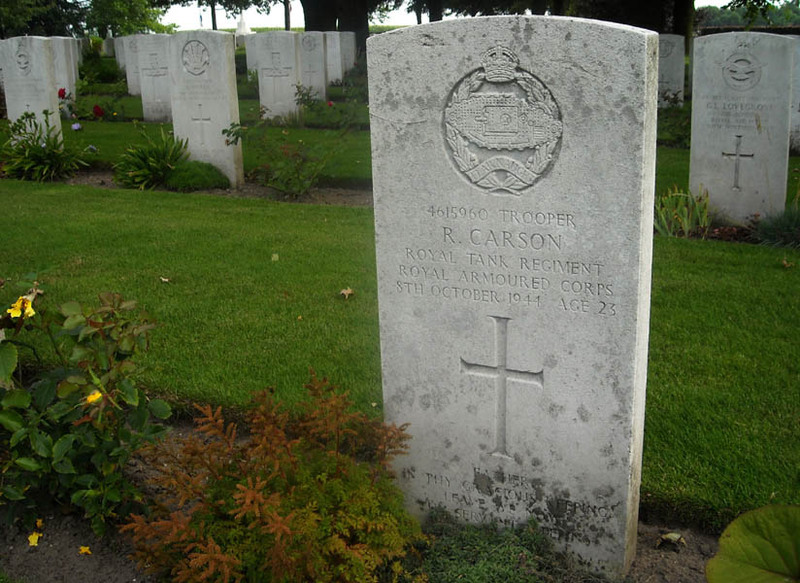 The grave of Private J.R.R. 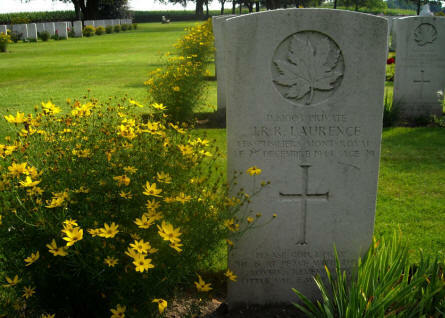 Laurance at the Groesbeek Canadian War Cemetery. 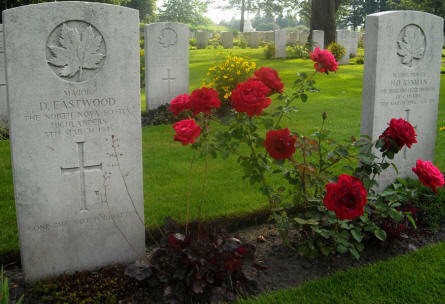 The grave of Major D. Eastwood at the Groesbeek Canadian War Cemetery. The grave of Trooper R. Carson at the Groesbeek Canadian War Cemetery.